At Hereward Primary School, we use the Oxford Reading Tree scheme to support home reading. This is done using what is called 'Book Banding', whereby books from Oxford Reading Tree and other schemes are placed in coloured bands of similar reading difficulty. Please download below a pack we have produced to help you support your child's reading at home, whatever their level. It is important to realise the key point that the children of parents who encourage and support reading at home become confident readers. 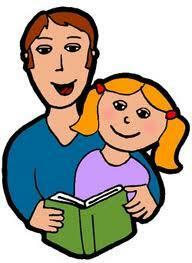 If you require more information about how to help your child with their reading skills, please contact us at school.